LONDON — When Britain applied to join the European Economic Community — a precursor to the European Union — in the 1960s, it was France that said "non" and twice blocked their bids. The U.K. was eventually accepted in 1973. 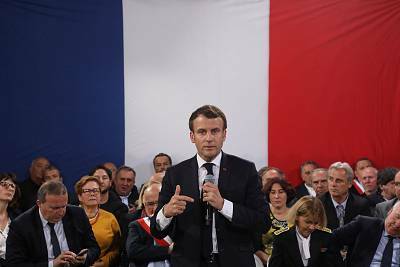 But as Britain seeks to leave the bloc with a withdrawal deal negotiated to avoid economic catastrophe, it is now French President Emmanuel Macron who is threatening to stand in the country's way. Amid gridlock in Parliament, British Prime Minister Theresa May last weekrequested that the official divorce datebe pushed back to June 30. Brexit was originally scheduled for March 29, but it will happen this Friday unless all 27 leaders of other E.U. countries agree to another delay. Macron, however, appears to have lost patience with the U.K. When May visits Berlin and Paris on Tuesday, it will be the French president that she will need to persuade to support her efforts. Speaking before May's plea for a delay, Macron said that to avoid a chaotic "no-deal" Brexit on Friday, it was up to the U.K. to present a "credible alternative plan backed by a majority" in Parliament before Wednesday's emergency E.U. summit. May has repeatedly been unable to find enough support from British lawmakers for a deal she hammered out with the E.U. Under a "no-deal" scenario, there would be no transition and an abrupt end to more than four decades of agreements. The consequences of the divorce are far reaching and affect nearly every aspect of U.K. society. E.U. law and policy influences trade, security, medicines, travel, workplace regulations and more. Macron last week pointed out that there appeared to be no end in sight to the impasse in the U.K. Parliament over Brexit. "If the UK isn't capable, almost three years after the referendum, of putting forward a solution that gets a majority, it will have decided itself, de facto, to leave without a deal," Macron added. "I say that again very strongly. Our priority must be the good functioning of the E.U. and the single market. The E.U. cannot be held hostage long-term by the resolution of a political crisis in the UK." Macron said he was open to alternative plans including an election or another referendum on Britain's relationship with the E.U., if May was able to get them approved in Parliament by Wednesday. Georgina Wright, an expert on Brexit and Franco-British relations at the London-based Institute for Government think tank, said Macron was attempting to put pressure on the U.K. Parliament to finally make a decision. "They are trying to send a signal to the House of Commons by saying you may oppose the deal but you need to tell us what you want," she explained, referring to the lower house of the British Parliament. "We cannot just extend this time if it's not going to make a difference," she added, explaining Macron's position. But Wright predicted that when "push came to shove" she believed Macron preferred an extension to Britain's departure over a "no-deal Brexit" that would be also be economically damaging for France. "France has been very consistent that it wants the U.K. to leave with the withdrawal agreement and it doesn't want the U.K. to leave with no deal," she said. 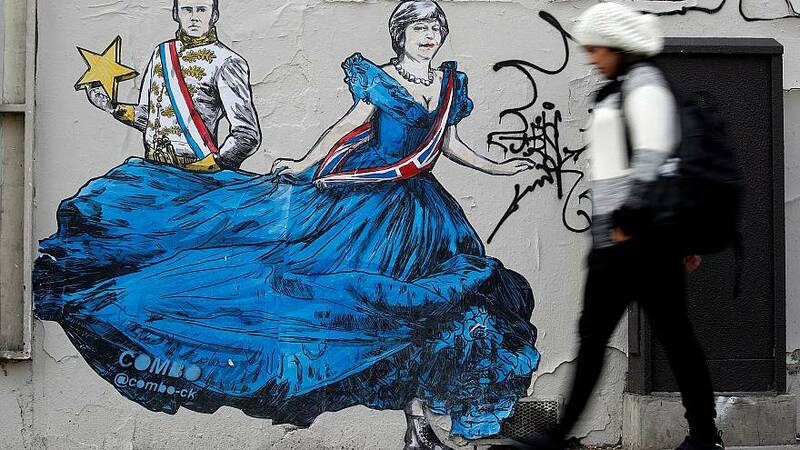 Joseph Downing, an expert in French politics at the London School of Economics, also questioned whether Macron would actually be prepared to veto May's requested extension. Macron has been criticized for being "arrogant and impotent" in the face of months of "yellow vest" protests across Franceover the rising cost of living as well as his haughty presidential style, and Downing said the Brexit showdown offered him an opportunity to improve his image with domestic voters. "It's the one stance within the Brexit scenario that he can take to make himself look strong," Downing said, adding that Macron has attempted to portray himself as the next in line to French leaders like Charles De Gaulle, François Mitterrand and Jacques Chirac. It was De Gaulle who twice vetoed Britain's application to join the European Economic Community, which would later evolve into the E.U. 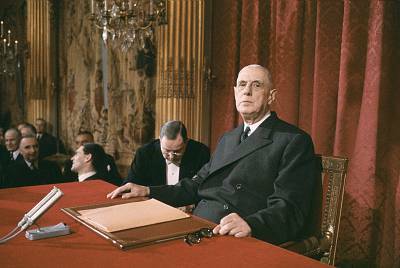 Explaining his decision to refuse Britain entry for a second time in November 1967, De Gaulle said it was a matter of understanding if Britain could join "without breaking what exists." But Anand Menon, the director of the U.K. in a Changing E.U., a think tank that focuses on Brexit, pointed out that times had changed since the De Gaulle era. "France was relatively a lot more powerful in the 1960s than it is now and was operating in an E.U. of six," he said, explaining that to veto now would only undermine the unity of the 28-country bloc, which is something Macron professes to care about. Menon agreed that Macron's posturing might help him in the opinion polls. "A French leader playing hardball with the British is pretty good politics in France," he said.